When you’re thinking about building a tech-savvy, productive business, cybersecurity needs to be at the forefront of the discussion. Create a culture in your company that focuses on the protection of your sensitive data. When you hire new employees, they definitely need to be up to date on these matters. If you’d like to build this sort of company culture from the ground up, follow the tips below. When hiring new employees, we often think about filling out documents for HR, getting them acclimated to the workplace and coming up with goals for the first 3 months. However, you’ll really want to get your new hires started on the right foot by also passing on cybersecurity practices. Take time out to set up policies and protocol that create a culture of tech safety. Get your IT department involved with training so that everyone is on the same page. The best thing you can do from a cybersecurity point of view is regularly change your passwords. This is a small, doable step that will greatly decrease your chance of security breaches. Set some protocol for your password changes, such as capital letters, numbers, and symbols. The harder your passwords are to guess, the safer your data will be. When you figure out how frequently you’d like to change your passwords, enforce these rules so that everyone is on board. Since spyware and malware threats are real, do everything you can to run frequent scans. When you’re able to keep your computer clean, your employees will have everything they need to do their work without worry. You should also run disk cleanups and defragmentations to make sure the systems are running smoothly. Keep a firewall in place and make sure to block sites that may contain spyware. Constant training needs to happen so your employees maintain positive cyber security habits. Make sure that your IT staff remains educated, and passes those tips and skills along to new employees. Develop a positive rapport so that your employees feel compelled to regularly file tech support tickets anytime something is out of place. Phishing schemes are more prevalent than ever, so keep your employees in the loop. Have them notify you if any e-mails appear suspicious, and make sure they never click anything from recipients they don’t know. Run e-mail box scans to protect them from having their info compromised. The best thing you can do to set an example for your new employees is making sure that you’re always on top of cybersecurity issues. This is an ongoing process that you always need to be aware of. 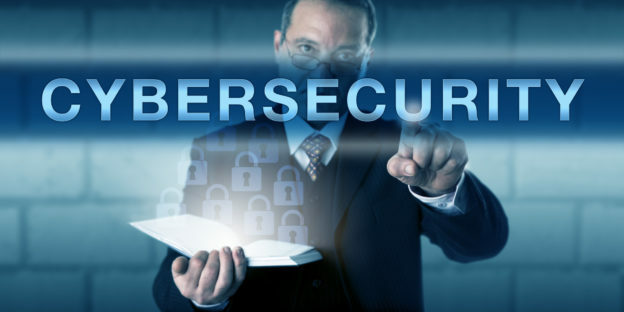 If you’re in need of help with your IT or cybersecurity issues, stop by our blog to learn more. To get professional help with these or other IT matters, don’t hesitate to get in touch today.